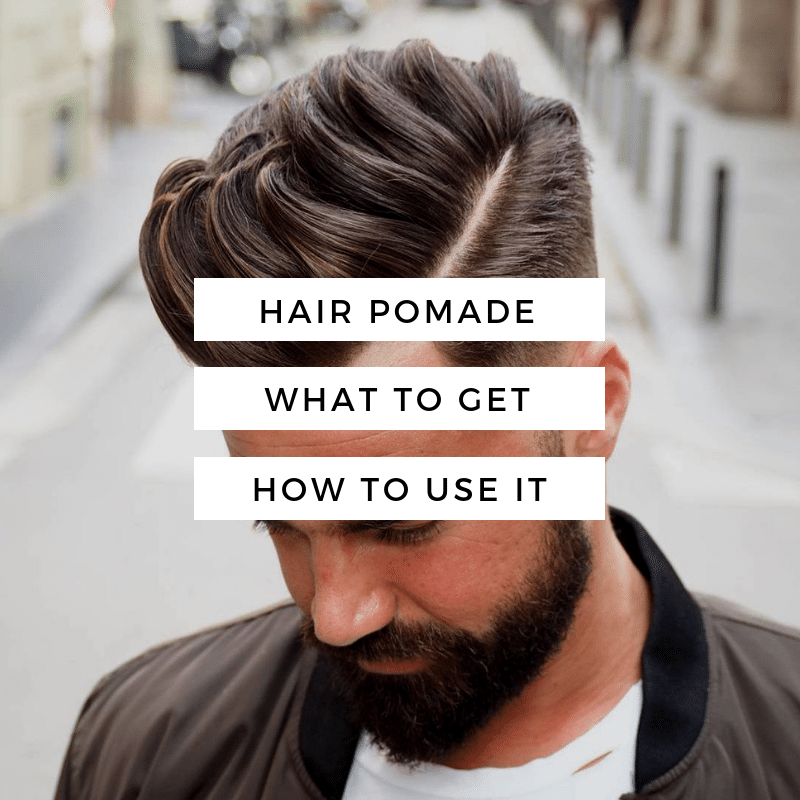 The neckline hair design trend just keeps getting bigger. 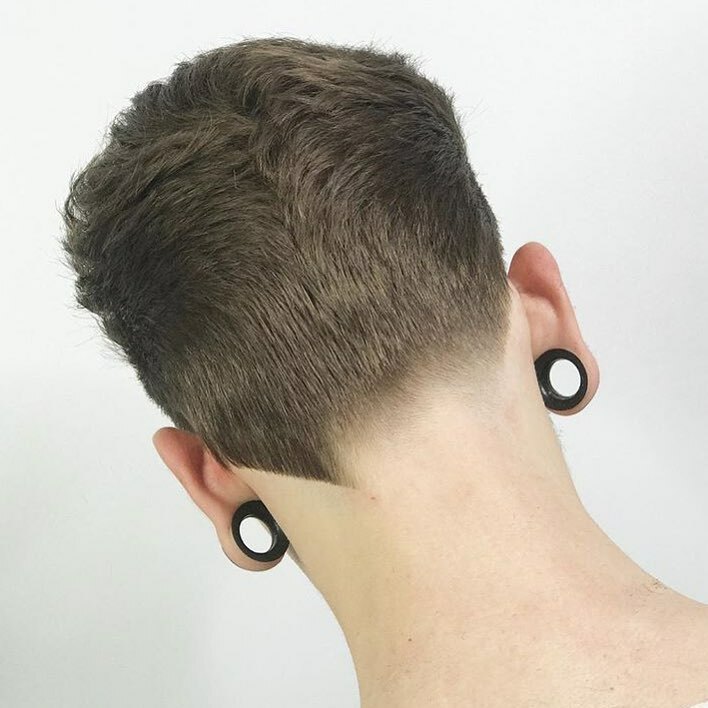 Building on the current hair tattoo trend, this version relocates the design from the sides to the back of the head for an eye-catching rear view. 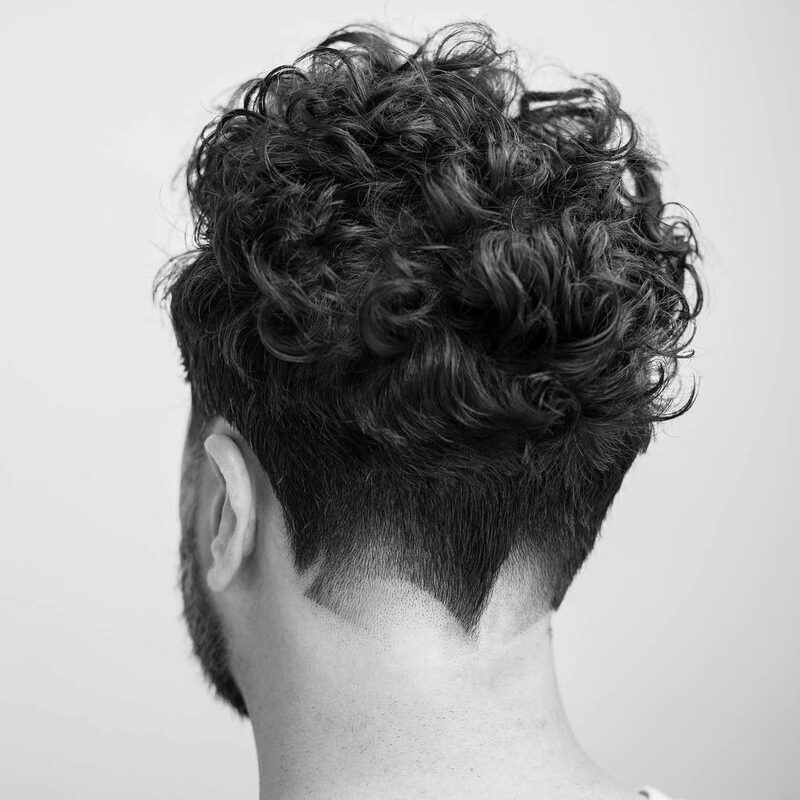 The neckline hair design can use a fade haircut as a canvas or it can add a surprise finish to a tapered cut. 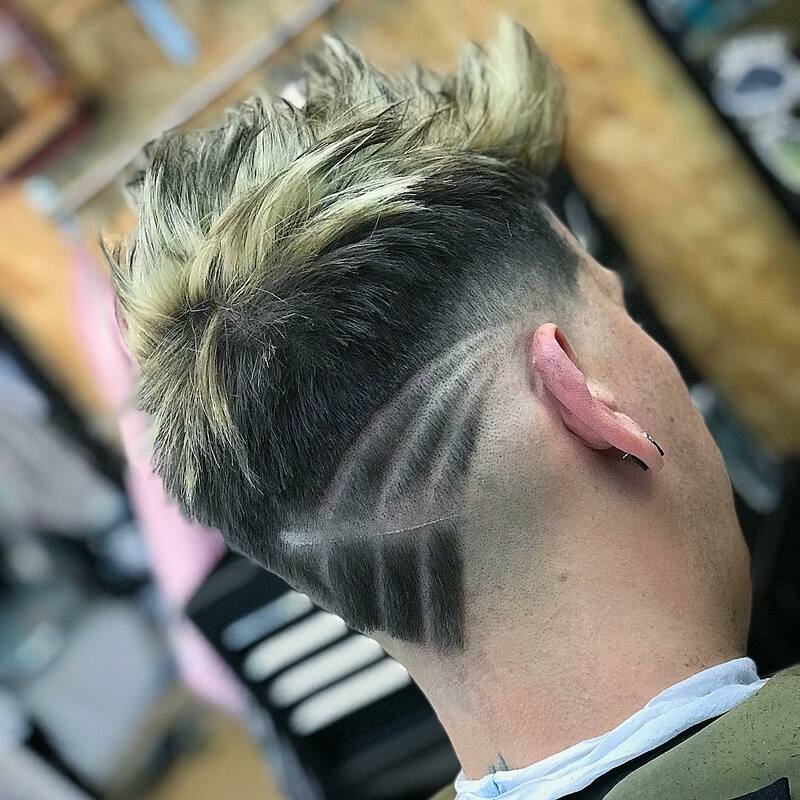 The design itself can be a simple V or a complex multiple fade pattern. 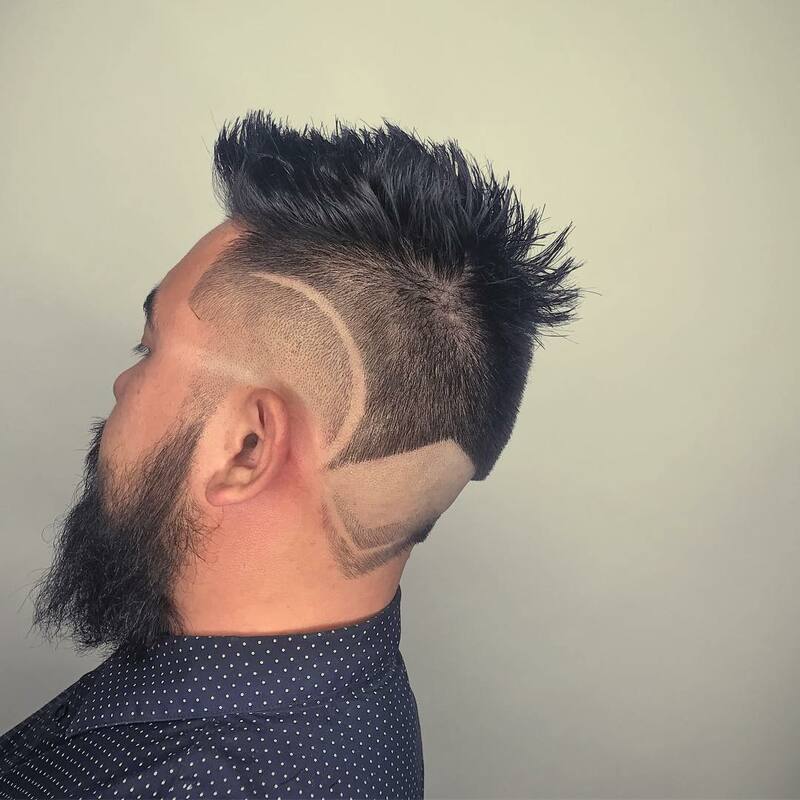 Let your barber get creative and see what they come up with! 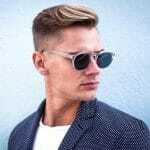 This type of hair design works with any hair length from, short to long styles. 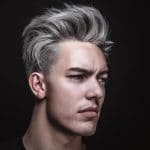 It is a low commitment way to add something unique to your hairstyle so don’t be afraid to give this look a try. 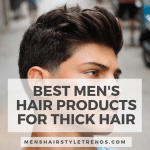 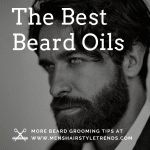 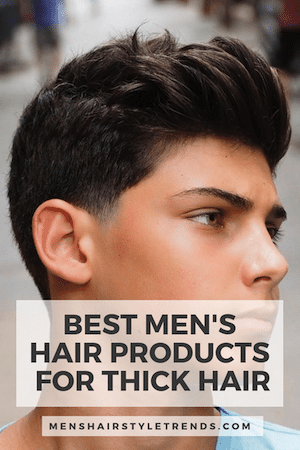 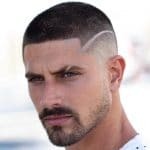 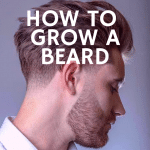 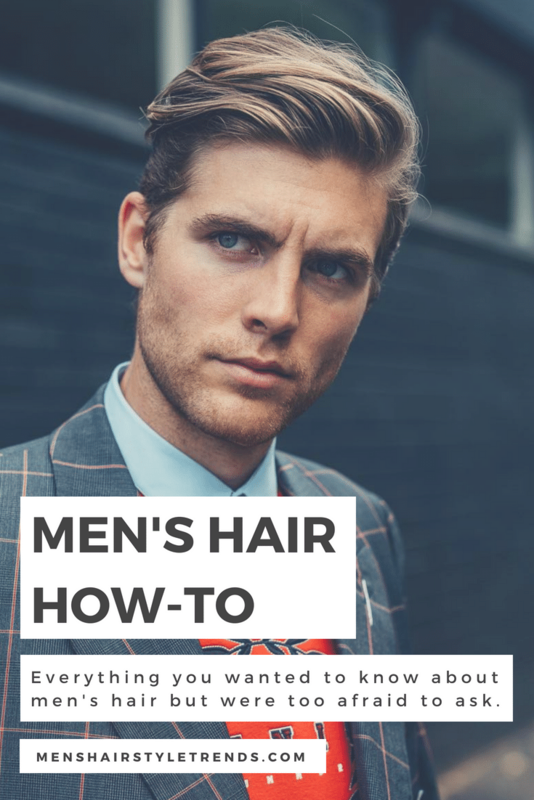 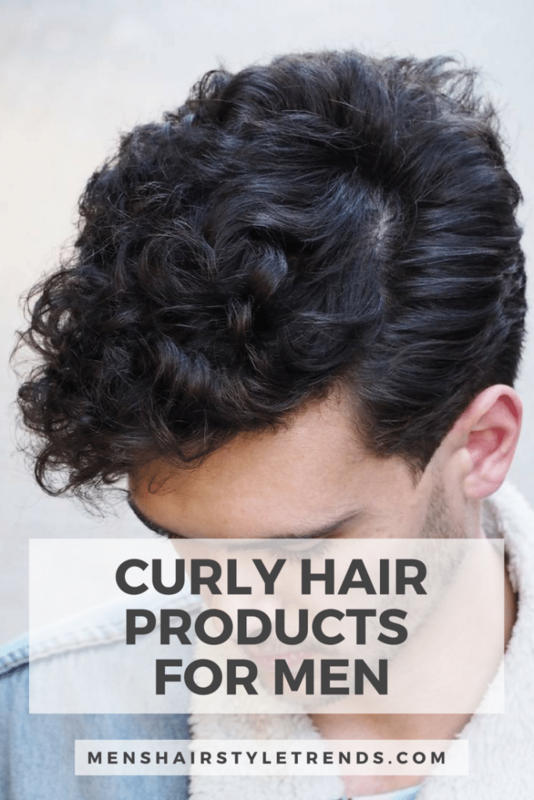 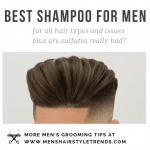 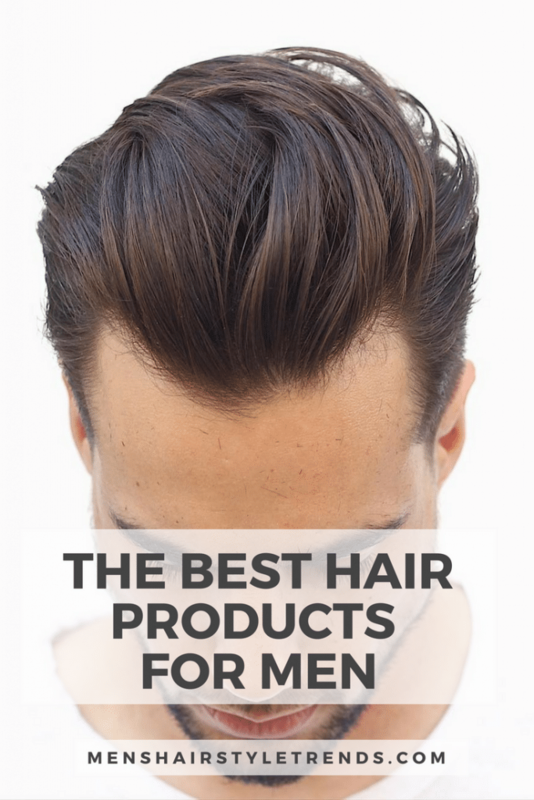 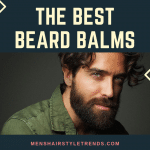 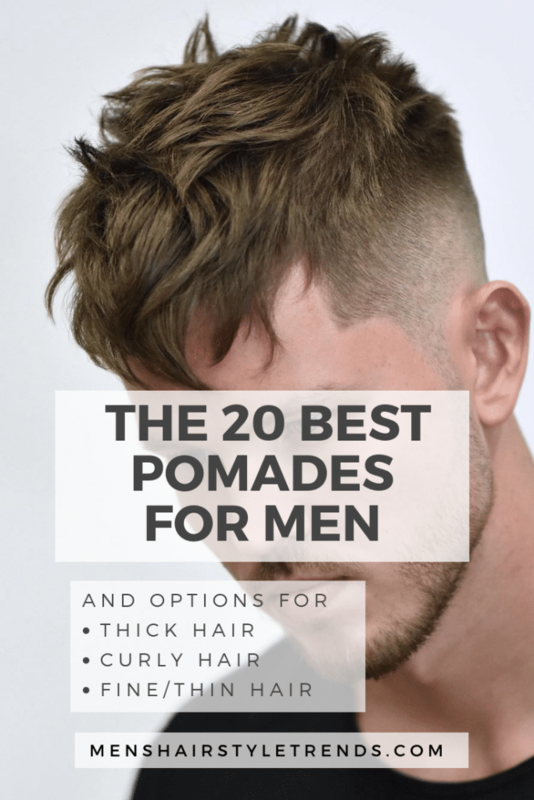 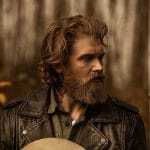 Check out a few of the hottest new hairstyles for men featuring shaved designs in the neckline. 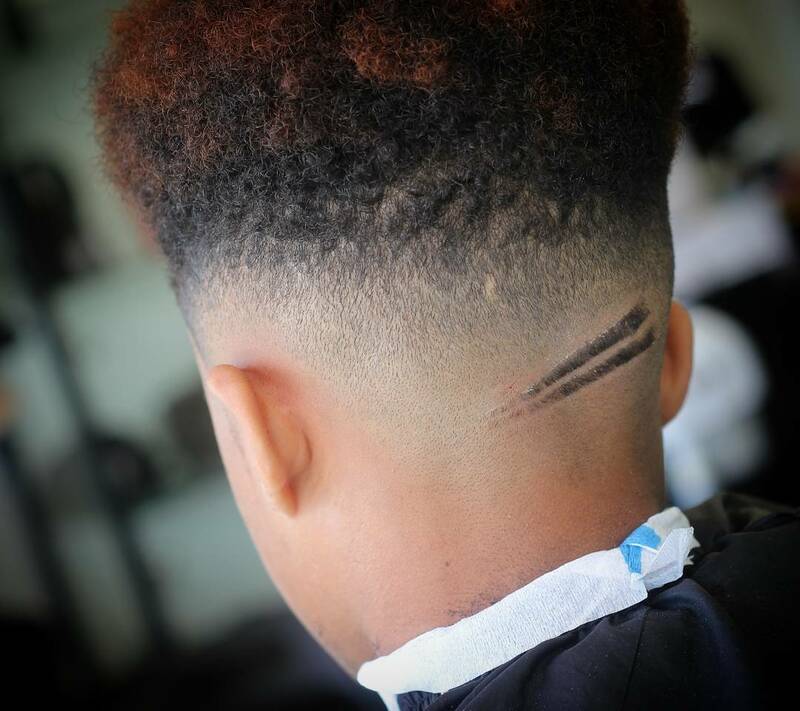 These 15 pictures are a few of our favorite cuts. 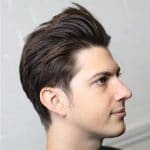 This cool irregular neckline combines arcs and lines with fades and edges. 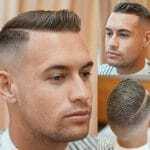 This fresh style features a crop on top and two very different levels hairlines interrupted by a shaved line. 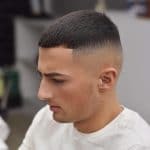 Check out these barber for many more unexpected fade haircuts. 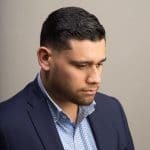 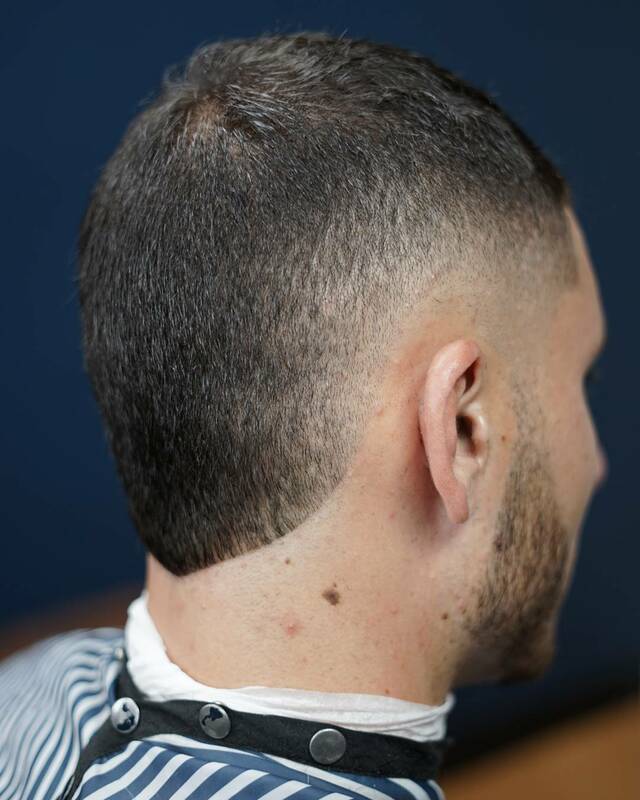 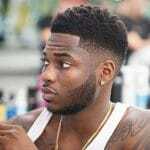 The reverse fade builds hair up from the neckline instead of tapering it out. 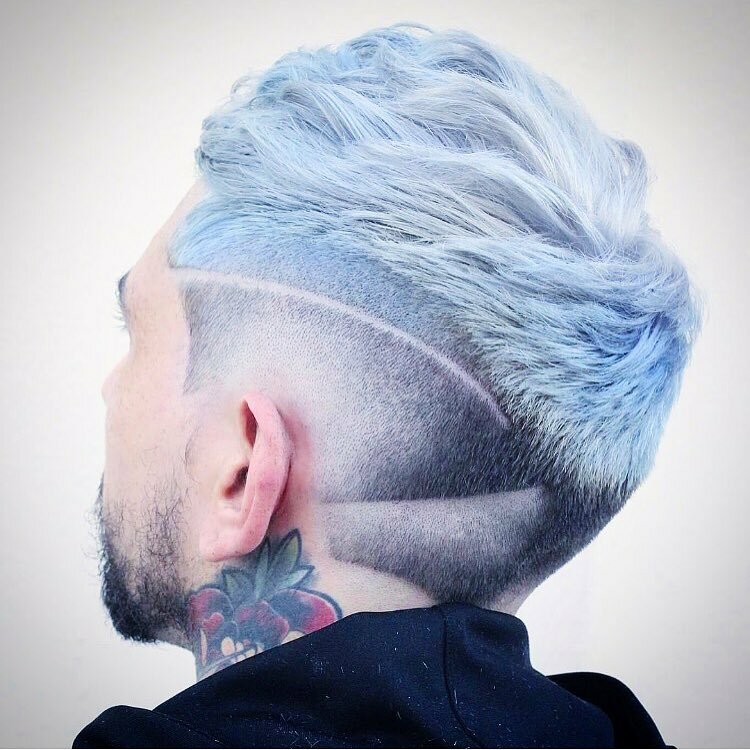 An off-center V transitions into multiple fades that add lots of dimension. 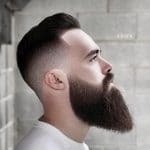 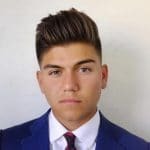 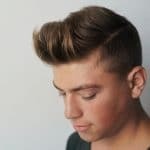 A stylized version of the blow out, this cool cut juxtaposes diagonal lines shaved into the temple and hairline with a matte pompadour hairstyle on top. 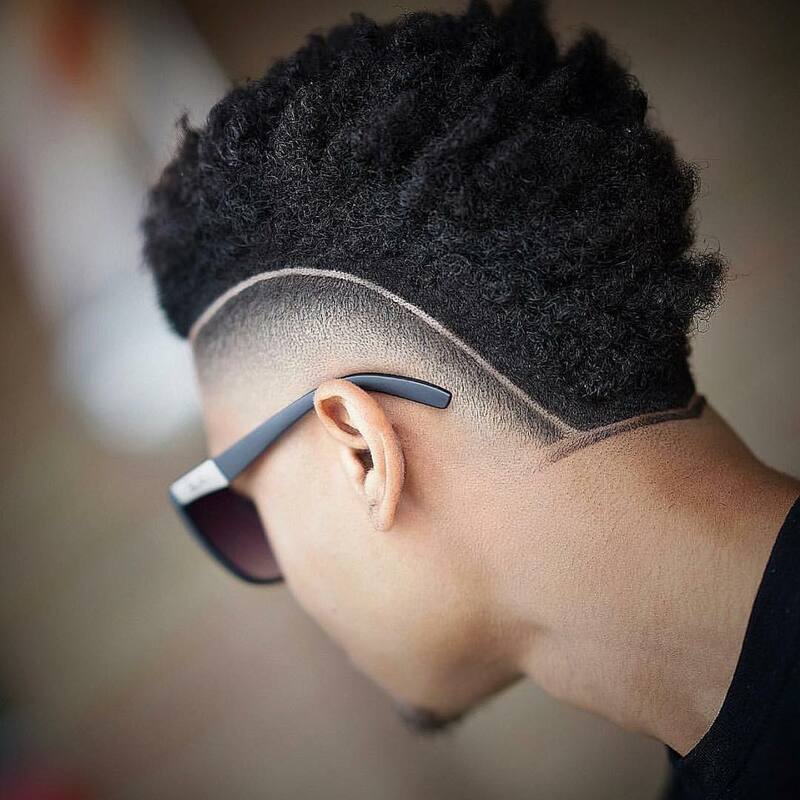 This classic flat top fade gets an update with a set of X-ray lines on the neck. 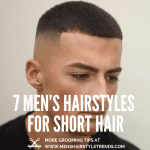 Simple hair designs still have plenty of presence. 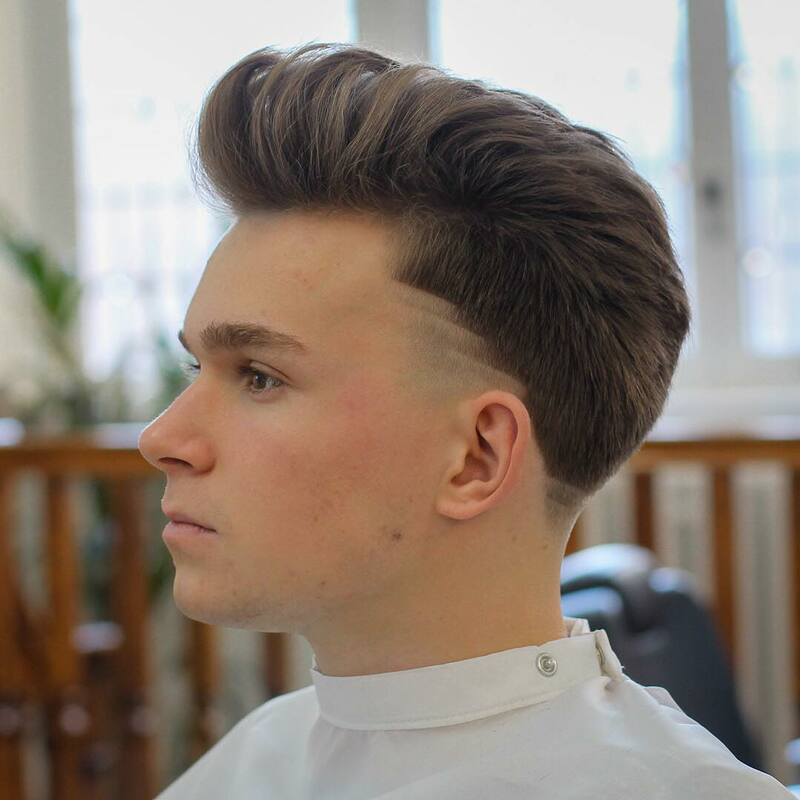 A pair of shaved lines in the tapered neckline adds a cool finishing touch to this medium length slicked back style. 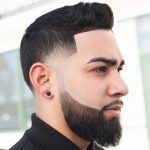 Another fresh update on a classic taper, this neckline contrasts an angled line with faded neckline. 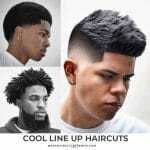 The V-shaped neckline is a popular finish to a range of haircuts. 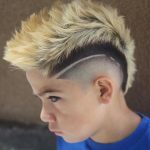 This version contrasts spikes on top with a striped V-cut. 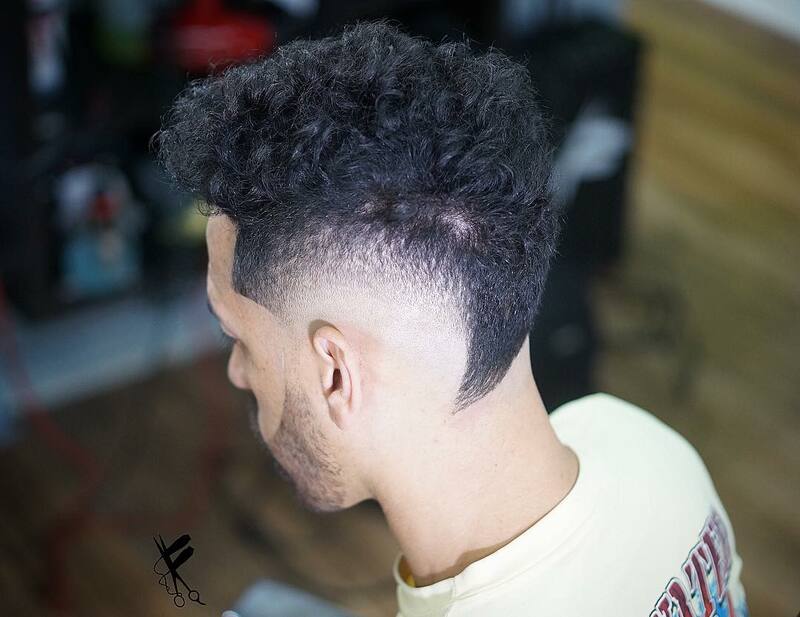 The shaved mohawk for curly and straight hair is getting more popular this year. 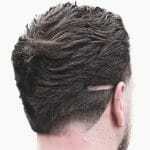 This cool style is edged with a fine line that follows the arc of the burst fade and pointed neckline. 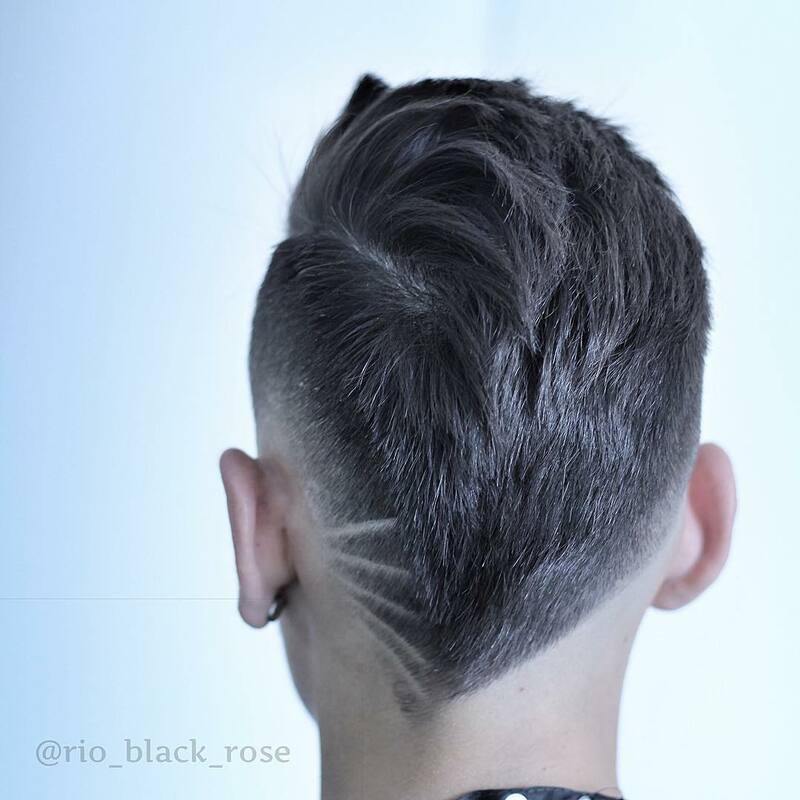 These bold look contrasts multiple Vs at the back with a shaved arc at the side. 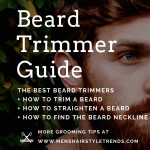 There are so many different ways to get a pointed neckline. 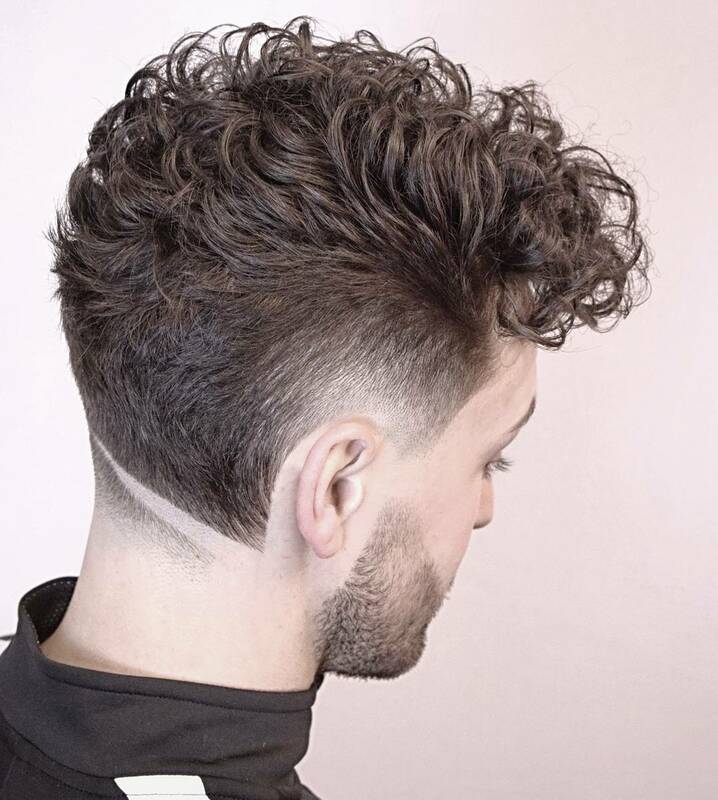 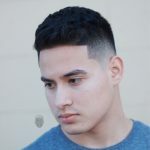 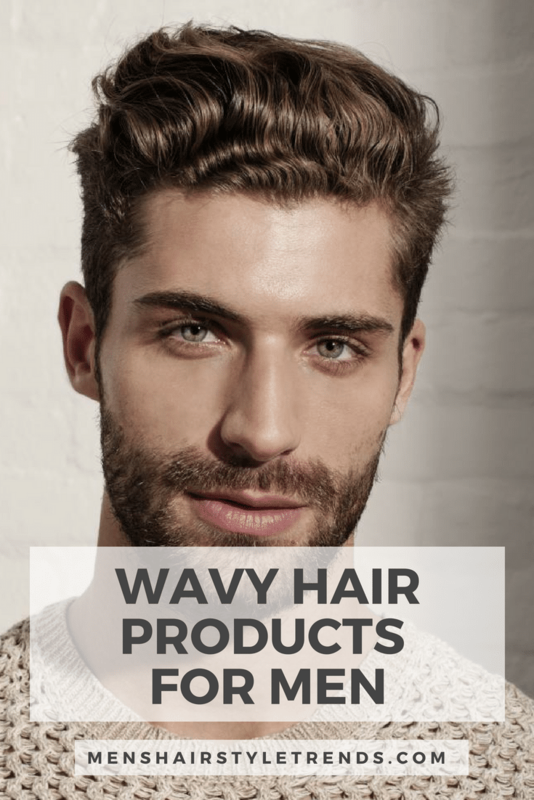 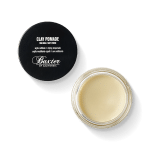 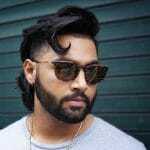 This cool version combines a burst fade with a rounded V.
This cool curly pomp gets extra cool for a sideburn fade and asymmetrical neckline that combines a fade and a shaved line. 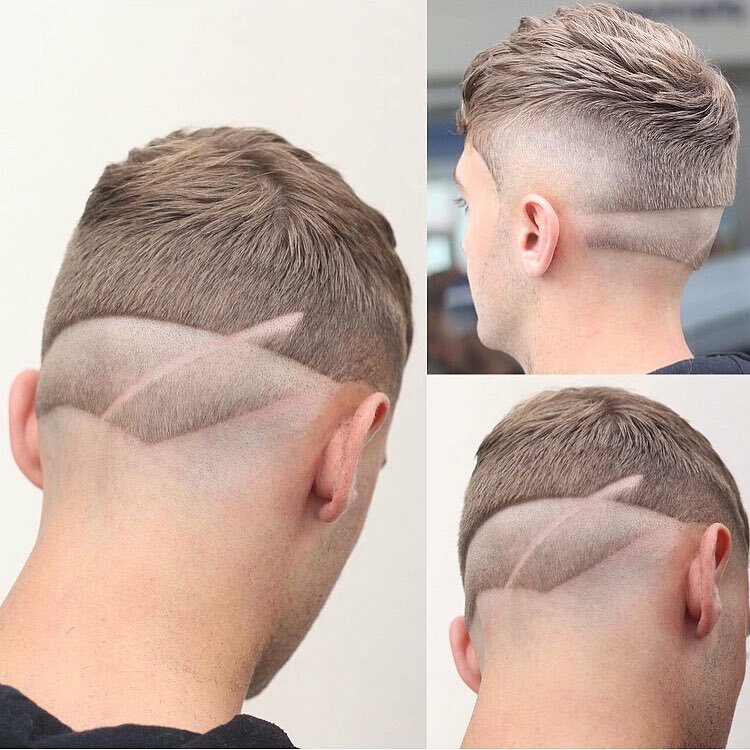 A pointed V is the perfect way to finish a mohawk haircut of any length. 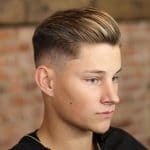 This is a popular style in Major League Baseball right now because the neckline is visible with a baseball hat on. 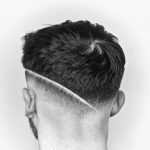 This fade literally bursts and the combines with a V-cut neckline. 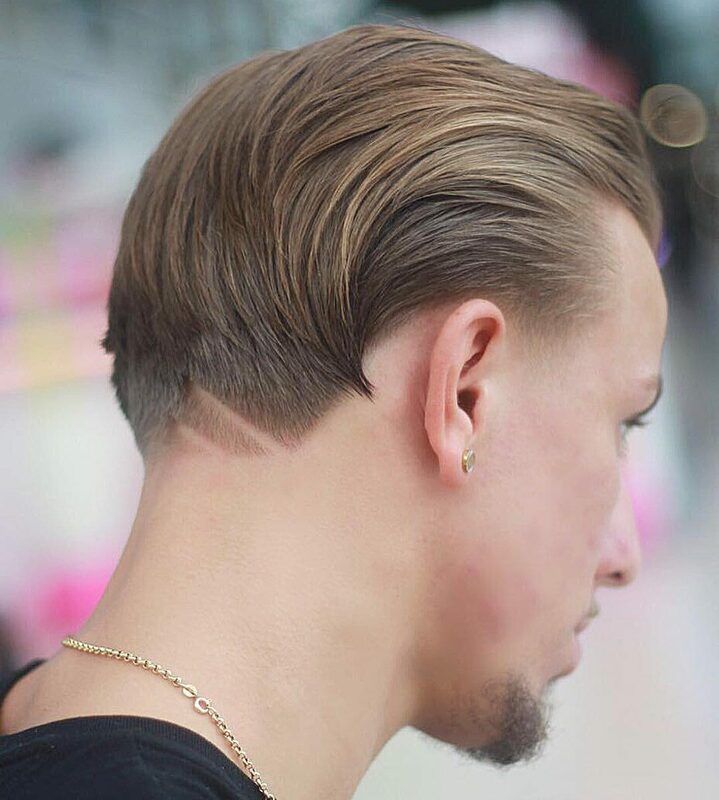 The off-center hairline balances the side part hairstyle on top. 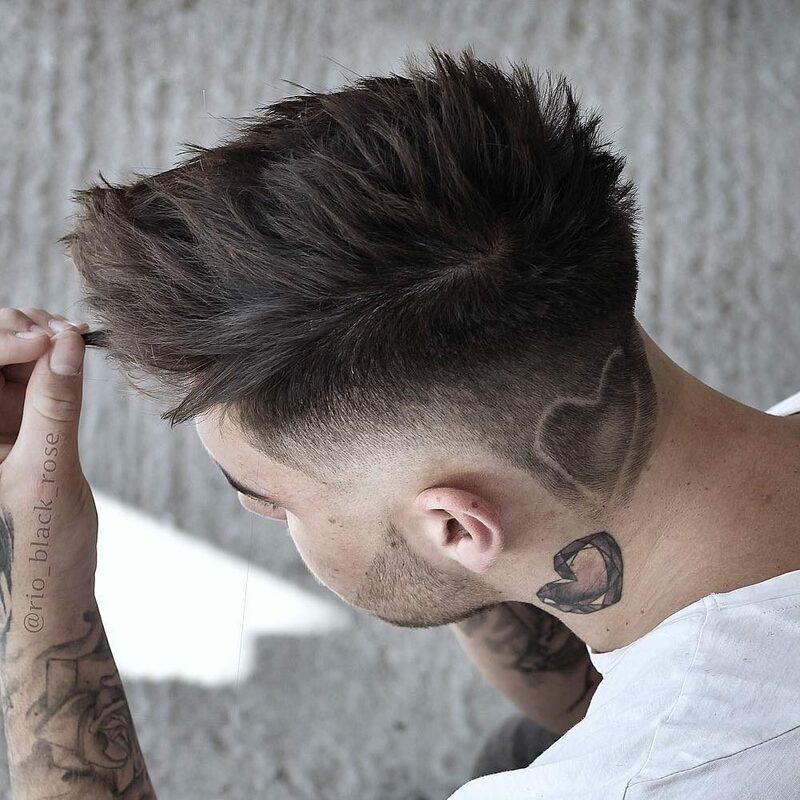 This heart hair tattoo mirrors the real thing on this gentleman’s neck but would look great on its own too.